UPDATED REVIEW - May 1, 2018 - Kawai has just replaced the KDP90 with their new model called the KDP110. Please go to the following link to read my review of the new KDP110: Kawai KDP110 Review. It has some nice upgrades from the previous KDP90 and is only slightly higher in price and I do recommend it. The following review here is for the KDP90. The KDP90 furniture style digital piano ($1149US internet discount price) with 88-key hammer weighted action is recommended - The Kawai piano company of Japan has been producing digital pianos (and acoustic pianos) for many years and is well known & respected world-wide for building high quality instruments that piano teachers, professional pianists, universities/colleges, and recording studios own & recommend. I personally know many musicians & teachers who own Kawai acoustic & digital pianos and have enjoyed them for years. Kawai has not previously offered a traditional furniture cabinet digital piano (with 3 pedals) in the US discount priced under $1800US until now with the KDP90. The lower priced KDP90 is a big step forward for Kawai in my opinion in this lower price range, and when it comes to competing with Yamaha & Casio who until this point have consistently dominated the lower price range under $1800, Kawai now has some pretty good ammunition with the KDP90, especially priced at $1149 internet discount. Based on my personal playing experience with this current model KDP90, it really looks like Kawai brought out a digital piano which can definitely take business away from some of its competitors in my opinion, especially Yamaha. Both Yamaha & Kawai international headquarters are in the same city in Japan (so they know each other well) and both companies not only produce high quality digital pianos (as do other digital manufacturers), but Kawai & Yamaha are quite famous and very competitive with their acoustic upright & grand pianos. The new KDP90 cabinet comes in one color only which is an attractive dark brown rosewood with matching padded bench, stylish brass triple pedals, and sliding built-in key cover. Some brands of digital pianos offer their models in two colors with black being one of them, but the dark rosewood color of the KDP90 (the only color it comes in) is probably dark enough for many people who might prefer black. The piano is also fairly compact and measures approx 54" wide and 16" deep weighing in at 84 lbs. What really makes the KDP90 stand out to me is its impressive graded hammer weighted key action, very nice stereo acoustic piano sound, and pedaling realism called "Grand Feel Pedal System" with 3 full size pedals...it's a lot of piano for the $1149US. When I first played the KDP90 I really did not expect it to be as good as it was, and in fact, I thought it would not compare very well to the popular Yamaha Arius series pianos (and other top brands). But the KDP90 not only was surprisingly realistic in recreating the acoustic piano playing & listening experience, it was noticeably better in that way than many of the competing brands including Yamaha & Korg cabinet pianos in this particular price range. The KDP90 was obviously designed to do a few things very well in its price range and that includes having a noticeably quiet and sturdy graded hammer key action movement (Kawai calls it AHAIV-F Advanced Hammer Action), impressive acoustic stereo piano sound reproduction with smooth velocity response and resonance, natural tonal dynamics, and a fairly even volume balance & depth across the entire keyboard including the middle keys (which is not easy to do), as well as solid piano pedaling performance. It is worth noting that each note of all 88 keys is individually sampled from a full size Kawai acoustic grand piano as opposed to being sampled (recorded) from an acoustic piano in groups of notes. Sampling groups of notes means that you record on note and electronically "stretch it" to the next note, and then the next note, etc. This process definitely saves money for the manufacturer but it also sacrifices the natural tonal transition between one note and the next as compared to 88 key individual sound sampling found in the Kawai KDP90...and the resulting piano sound in this piano is outstanding for the price, especially when it comes to key action and piano sound chip as compared to the similarly priced Yamaha AriusYDP162 or higher priced YDP163. The KDP90 also has some interesting additional functions which give the acoustic piano sound an even more realistic tone than it already has. One of the functions is called pedal resonance which means that which you press the pedal down you can hear the sound of the "virtual strings" echo or resonate just like in a real piano when the pedal is held down. This is not the normal sustain you find on most digital pianos when depressing the pedal (which the KDP90 does have), but also a natural organic string resonation that is in additional to sustain. You can control the amount of resonation of the strings from a control function on the keyboard, so that it is not too much or too little, something that the competitive brands in this price range cannot do. The KDP90 does not have hundreds of instrument sounds, USB flash drive input or USB output, automatic accompaniment styles, multi-track recording, user display screen, etc, which may or may not be important to you. The piano obviously not meant for that because it is focused primarily on piano playing and having a simple, easy to use control panel. 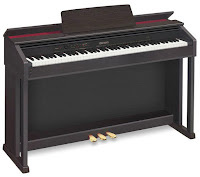 All of the control buttons are on the left side of the piano keyboard and the KDP90 has 4 different acoustic piano tones including full stereo reproduction, along with a variety of (total 15) real sounding stereo strings, organs, electric pianos, choirs/pads, harpsichord, and a few other tones. All of these instrument tones are quite realistic at this price and better in my opinion than much of the competition (in a traditional piano style cabinet) for those specific tones. Based on the fact that Kawai produces some very expensive Concert Grand pianos which sound great, they do have experience creating exceptionally good piano sound and the lower priced KDP90 is an instrument that you will enjoy playing based on my experience with it. A feature of the KDP90 which also impresses me is the 192-notes of piano polyphony memory, which is more than many of the competitors. Polyphony (pol-i-fony) allows for more piano processing power when playing while combining two sounds together at the same time. 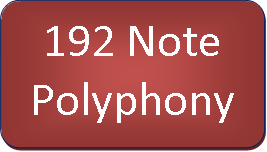 Having 128 notes of polyphony is generally good, but going up to 192 notes helps with overall piano sound realism, repeated notes, and pedaling sustain time, so the 192-notes of polyphony is a good thing. Also, if you layer 2 sounds together on the KDP90 such as acoustic grand piano and string symphony, then the increased polyphony power becomes even more important to be able to handle the amount of polyphony it will take to allow those two instrument sounds to play properly together at the same time, especially if both of those sounds are in stereo. So the number of polyphony notes is somewhat relative to how good of a player you are or will become. Another educational feature of the KDP90 is the built-in music lesson library consisting of Alfred's basic piano library of songs books 1A and 1B (a very popular lesson book series) along with Burgmuller 25 Etudes. With the built-in music library in the piano you can purchase the appropriate music books and then play along with the built-in songs at any tempo you wish (slower or faster) and also separate out the left hand and right hand parts for playback with controls in the piano accessed by the function button and keys. The Alfred piano leaning series of lesson books library is very popular with pianos teachers and is especially useful if you are a beginner or novice player so you can listen to left and right hand parts separately on the KDP90 (before you play the song yourself) to understand how each part sounds and to then play each part one at a time along with the song playing back. It's a pretty cool feature and Kawai is the only digital piano company with this kind of built-in lesson song library. 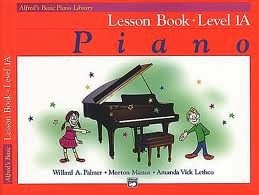 There are many other Alfred piano and music books beyond level two but the KDP90 does not have those songs built in. You would need to get a digital piano that is General MIDI compatible along with a built-in USB flash drive (such as the popular Casio PX780 - $899 internet price) to play other Alfred lesson book songs (including other lesson book publishers such as Faber). 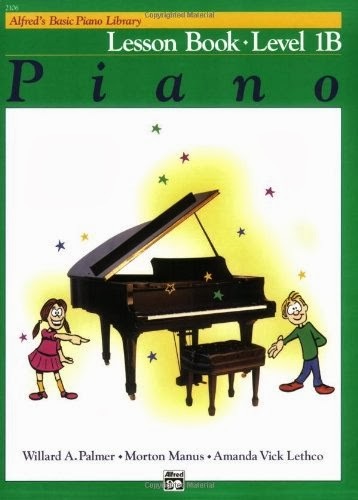 If you are taking lessons with a piano teacher you can use the Alfred curriculum in your lessons to correspond with the built-in Alfred instructional songs in the piano. But even if you never use this function, it's OK because this instrument is really all about the acoustic piano playing experience being recreated on a digital piano and having it be the one of the best you can get for a furniture cabinet digital piano under $1500. The KDP90 does have a nice built-in digital recorder which offers one track of full piano (left & right hand) recording and a 3-song memory to save your recorded songs. This is generally sufficient for most people although some of the Kawai competitors have a 2-track recorder with separate left & right hand recording. Two separate tracks of recording is a nice feature and I would have wanted to see that in the KDP90, but it is not absolutely essential, although it would be nice. The KDP90 also allows for electronically splitting the 88 piano keys into two equal 44-key pianos so that two people can play at the same time playing the same notes. The left hand part of the 88 keys is electronically changed to sound like the right hand part of the keys which is helpful if there is teacher-student practice or brother-sister, parent-child, etc. This can be a useful tool depending on your situation. The KDP90 is equipped with MIDI connectors to computer/iPad or external MIDI instruments but I would have preferred the KDP90 having a USB output to iPad/computer as well as an audio input which would have been useful. But some people do ask for traditional MIDI connectors (to connect to other sound modules, etc) which it does have, and you can always purchase a low cost adapter cable to convert the MIDI plug on the piano to a USB cable connector so that you can connect the piano to an iPad/computer (with iPad adapter kit) and use some fun interactive iPad apps for creative visual learning and music playing. I use iPad apps in my studio quite a bit so I would definitely suggest that if you have an iPad. Another feature the KDP90 does not have is ivory feel key tops which Casio, Yamaha, and Roland do have under $1500. Although some people like the ivory feel keytops and it can be nice, it is not absolutely necessary and in reality, real acoustic pianos these days (and have for many years) use regular white hard acrylic keytops and not ivory, so that material (simulated or organic) is not something you would see on a regular piano anyway. Besides that, I have had some people tell me they do not personally like the feel of some synthetic ivory key tops, so it's definitely personal opinion. 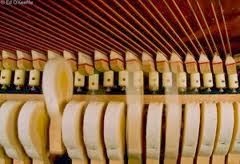 But all the drum rhythms in the world, automatic chord arrangements, extra sounds, synthetic ivory keys, or the latest USB technology are useless in my opinion if you do not have a realistic piano playing experience with a solid key action, good smooth dynamic acoustic piano tone, and realistic pedaling movement. 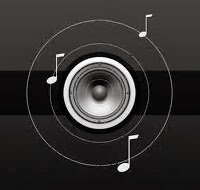 Although piano touch and tone is ultimately a subjective thing, when you compare a digital piano to a real acoustic piano there needs to be some close similarities which is proper key weighting (not too much weight or too little weight), and excellent piano tone with good dynamic range from mellow to bright as you are playing softer or harder. Dynamic sound from mellow to bright as the hammers hit the strings in a real acoustic piano are typically difficult to recreate on a digital piano in this price range. But the Kawai KDP90 does a very good job of this and noticeably better than many other digital pianos I have played under $1500. 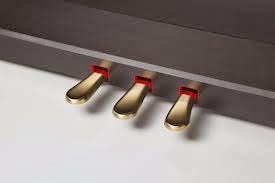 Then there is the damper sustain pedal (along with the middle pedal sostenuto function and left soft pedal) which is sometimes overlooked as being important when shopping for a piano. The pedals themselves are made of a durable metal material (not plastic) and when using the right sustain/damper pedal it activates what's known as "half-pedaling." Half-pedaling is the ability to have a medium amount of sustain-decay time when pressing the pedal down about half way instead of just on or off sustain, which is more like a keyboard. It also has a smooth a smooth pedal movement using the Grand Feel Pedaling as I mentioned before. The sustain decay time (amount of time the sustained note is heard before fading away when you let go of a key when holding down the pedal and playing the piano keys) is quite long and holds up well as you play keys across the keyboard, which was impressive to me. The longer decay times and larger 192-note piano polyphony memory helps when playing more legato passages of music especially in classical pieces, so even more advanced students and players will appreciate that. The Advanced Hammer Action of the KDP90 (key action is the heart of any acoustic or digital piano) is noticeably smoother and more realistic in weight and movement than many other brands and models in my opinion including the Yamaha GHS and GH key action found in the lower and higher priced Yamaha DGX and Arius models (including Clavinova CLP645 GH3), Roland ivory-G action, and other brands and models including Suzuki, Adagio, and Kurzweil. Key action movement, static touch weight (how much force it takes to initially press a resting key downward), and realism is the number one feature to focus on in a piano. Another digital piano which offers a fairly realistic key action in this low price range is the Casio PX870 (which I mentioned earlier), and I have done reviews of those pianos which you can read about on my blog. 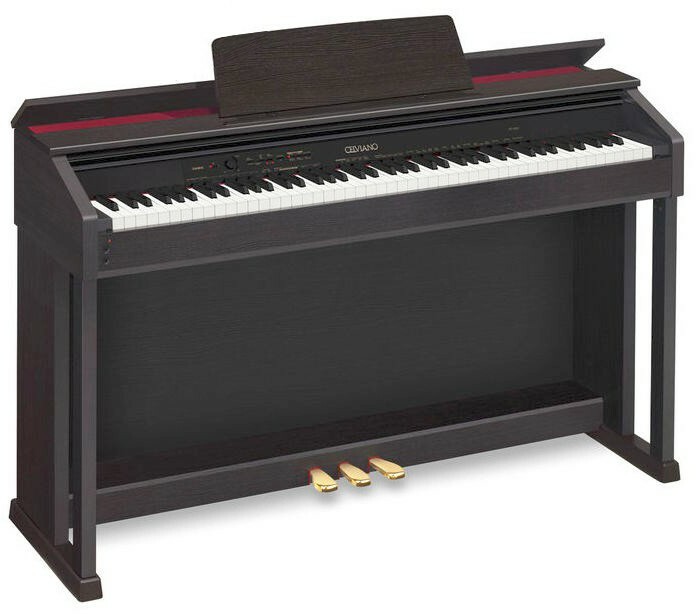 When you put it all together, the Kawai KDP90 is an excellent low price choice for its good quality realistic hammer key action, large amount piano polyphony memory, smooth touch, resonate piano tone, and fairly compact furniture cabinet weighing in at only 84lbs. It is worth noting that I consistently have people asking me about 88-key furniture style digital pianos (without a lot of "bells & whistles") for around the $1500 or less (approx) price range. There is a variety of choices out there but I would suggest that you consider this new Kawai KDP90 ($1149 internet discount price) if you intend on keeping the piano for awhile and want a good investment in a quality instrument. The Kawai KDP90 is a piano even a good player can appreciate if they are on a budget, want limited but a useful amount of features, and are focused on realistic acoustic piano sound, pedaling, and key action in a lower price range. It is worth noting that KDP90 has two electronic key sensors under each each as opposed to three key sensors in higher priced Kawai pianos. Casio and Roland also have three key sensors per key in this price range and Yamaha Arius pianos use only 2 key sensors in their YDP143. However it seems that Kawai has optimized its key sensing for repetition in a way where I did not notice any real deficiencies with the 2 key sensors as opposed to three of them. Specs are one thing but reality is another and I felt the the Kawai key action responded well with a variety of music styles played on it. But no matter what brand or model you may chose, it's all about the music and having an enjoyable playing experience and ultimately you can get that on some (but not all) brands and models in this price range. The Kawai KDP90 isn't the only digital piano brand to get under $1500, and in fact if you have the budget to spend even more money, Kawai has some very nice digital pianos selling for over $1500 as do other digital piano manufacturers. But there's simply not much to complain about on this one and there is a lot to like, so it is definitely a winner for what it offers...especially with a prestigious name like Kawai attached to it. However, it seems as it is difficult to actually see and play a KDP90 in the US because the main music store chains do not carry this model in their stores...Kawai pianos are normally a more exclusive brand and generally just found in Kawai piano stores. Not only that, but even Kawai piano stores tend to not have them either due to low supply and higher demand. Why is that?...a couple of reasons would be that Kawai does not produce enough KDP90's to keep up with actual demand on the internet, and also that piano stores likely don't make enough money on this model at its low price to justify carrying it (for them it's all about making enough money on the higher priced models). You will definitely see and find the Yamaha Arius brand more extensively in US music/piano stores than Kawai, but that does not mean the KDP90 is not worth your consideration because in my opinion it is an overall better piano in its price range than what Yamaha has to offer right now. Hi Tim, thanks for those new reviews. This week, my local store in montreal canada should receive both KDP90 and CN24. I am shopping for a simple cabinet piano under 2k. So my choice were CLP430 (1899$), Kawai cn24 (1799$) (tried the cn34) but now you put a new player in the mix. Maybe i can spare a few bucks in the kdp90??. Can't wait to try it and see the difference with cn34 in terms of touch and sound quality. HI again Tim, just found out that my local store wont be receiving the kdp90. They have a kdp80 and i am wondering if i could base my opinion on buying the 90 based on a test on the 80. Looking at the Kawai website, they seem pretty identical other than the polyphony 96 vs 192 and maybe touch ? ( AHA1V-Fadvance vs graded). If i like the kdp80, should i buy the kdp90 without trying it? Is there a chance i could be disappointed or it is just better ? Please answer my question....... I was going to buy a yamaha YDP 162 however today I came upon your blog with this new Kawai KDP90 Digital Piano that looks and sounds incredible on youtube. I was wondering if you can tell me if the keys of the Kawai KDP90 are plastic or ivory feel like the Yamaha Arius 162? I talked about ivory keys in my KDP90 review. Here is the quote... "another feature the KDP90 does not have is ivory feel key tops which Casio, Yamaha, and Roland do have under $1500. Although some people like the ivory feel keytops and it can be nice, it is not absolutely necessary and in reality, real acoustic pianos these days (and have for many years) use regular white hard plastic keytops and not ivory, so that material (simulated or organic) is not something you would see on a regular piano anyway. Besides that, I have had some people tell me they do not personally like the feel of some synthetic ivory key tops, so it's definitely personal opinion. I hope this info helps you. If you live inside the US you may email me for more detailed info. Which one do you think is the better digital piano... Kawai KDP90 or Yamaha Arius 162? Which is the better piano: Casio px850 or Kawai kdp90. I was going to buy the Casio and would like your input. I am a piano student in the middle of Alfred's Adult All-In-One level two book and listen to classical piano- Debussy, Granados, Scriabin- and eventually want to be able to play and perform those songs. Which piano will last me longer? Thanks in advance and love your blog. I have told many people about you. This is the type of question that needs more detailed explanation and questions on my part. Please email me directly, include where you are located, and then I can give you more info...thank you. I can't buy or try a KDP90 but yes the CL36. Do you think KDP90 and CL36 are same quality? Thanks for the great reviews. I grew up playing on a Samick baby grand for about 15 years but in the past 10 years haven't played much. I'm looking to seriously get back to playing and no longer have the Samick. I'm trying to decide between the Casio PX850, Kawai KDP90 or CN24. I've never played on a digital before. Any thoughts? No usb port? that's ridiculous considering the price and the age we live in. ridiculous...no...but should it have one...yes, in my opinion. However, the KDP90 is so good as a piano with regard to key action, sound, and pedaling realism that NOT buying this piano at this price range just because of lack of USB is not a good excuse since a USB/MIDI interface can resolve that issue pretty well. Does this have the same touch as the Kawai ce220? Is it better than the casio px850? No and no. This piano is in a lower price range and therefore has a different key action and also different features and functions. It depends on what is most important to you and what you can afford. Hi Tim, thank you for the great review. I'm thinking about buying KDP90, that would be my first digital piano. It looks like a good choice for me and a good value for money. I have just one question: Is it possible to connect piano with computer via MIDI input/output using MIDI/USB converter in order to record music played on piano on computer in mp3 format? And also, can mp3 file from computer, using the same interface, be reproduced by piano? Thank you in advance on your answers and I apologize if I misspelled something (English is not my native language). Thank you for your review! It's really helpful! Thank you for the review! How does the KDP90 compare with the ES100 (with 3 pedals) regarding the playing experience? Are the pedals very different? Pedal playing experience on both models is the same. Key action is the same as is the main piano and instrument sounds. If you want more detailed info on piano, features, lower price availability, or educational info, please email me directly. Hi Tim. Thank you for these detailed and extremely helpful reviews. Does the KDP90 have the drum rhythm feature you mention for the ES100? The KDP90 does not have the built-in drum rhythms. Tim my daughter is 6 years old and has just started her piano classes. Which would you suggest me to purchase a Yamaha YDP 142 or Kawai KDP 90? Without question a Kawai KDP90. In my opinion there is no comparison between the piano key action and piano sound realism. The Yamaha is a fine piano but the Kawai KDP90 is far above it in this way based on all my playing experience with them. I am currently looking at the Kawai ES7, the C220 and the CA65 - but then I read your review of the above, the KDP90 - arghhh - what to do what to do? These are completely different pianos at a much higher level of piano playing realism. If you cannot afford to spend more money than the KDP90 then the KDP90 is a very good choice. But as compared to the other pianos you mentioned, if is like comparing a Toyota Corolla to a Lexus...cannot be compared. This Kawai KDP90 and the Casio AP250 are on similar prices on my country (kind of $300 USD difference between them). Which one would you choose thinking on quality/price? You could likely be happy with either one and they both offer some good features so for me it could be either piano. They sound and feel different from each other. As far as key action goes, I personally like the Kawai a bit better but also I enjoy playing the Casio and it has better recording and USB features and the operating system is a bit more intuitive. I wonder you think a Kawai KDP90 is better or a Casio PX-850? In terms of the sound quality, then keyboard feeling and overall? I am no beginner, I have played for 25 years. Thanks. The CN24 is an upgrade from the KDP90 in terms of the piano sound, the key action movement and key sensors, and the overall volume output. Whether or not your son can tell the difference or would need those upgrades is difficult to say. However if you can afford it then the CN24 would be a great way to go. At that point you might also consider the Kawai CE220 which is a good upgrade option as well and has more useful features as compared to the CN24. Roland also has an impressive new model called the RP401R which would be a good choice too. I have done reviews on all of those instruments. Yes, they are the same pianos only the CN14 is in black and has 2X12 watt audio power (24 watt total) and the KDP90 is in rosewood only in the US and has 2x13 watts audio power (26 watt total). The CL36 is older technology with the RH action (a good action and heavier touch) but the piano sound realism and pedaling of the CL36 is not as good as the new CN14. The CL36 is really a compact version of the older CN23. Which is better Casio celviano ap 250 or kawai kdp 90 ? The Kawai has more audio power for a fuller sound and I personally like the KDP90 key action. However, there is better comparison that you should do depending on where you live. Please email me directly and I can help you further. I am looking to buy a piano for my daughterjust started lessons. The KDP 90 is strangely more expensive than the Roland 401R, and the latter is S $300 more expensive than the Roland 103R. I guess it make sense to gowith the 401R based on your reviews. Would you be ableto advise if the 401R and 103R are significantly different besides the compactness of teh 103R, e.g the 103R is easier to operate for a 6yo? Thank you. I am looking for best sounding best key feels...which one you recommend Yamaha P255 or kawai KDP90? Hi Tim, thanks for this review and it is amazing that you take the time to respond to comments. I was wondering how heavy the keys on the KDP90 feel (in particular in relation to the Yamaha 162, which I like, and the Casio PX860, which I find a little too soft). I was also wondering whether the keys respond well to pressing them softly and loudly (pianissimo ad fortissimo). Can you get a lot of subtlety with this keyboard? I ask because I would be unable to try it before ordering (they are not stocked in any local stores), and your review makes me tempted to get one online! I much prefer the key action and dynamic tonal range of the Kawai KDP90 over the Yamaha YDP162. Although I like the YDP162, the key "down weight" also know as "static touch weight," is unnaturally heavy and stiff as compared to the Kawai KDP90 in my opinion. The Yamaha does not have a key action which allows for natural comfortable playing, and I have talked about this issue in my Yamaha reviews. The Kawai key action has an impressive fully hammer weight and graded key action which allows for more technique driven key movement along with a wide range of tonal changes through the expression that is available with the Kawai KDP90 stereo piano sound chip. The Kawai KDP90 is also significantly cheaper (US dollars) in price than the Yamaha YDP162. Although the YDP162 has some very nice features and a few things that the Kawai does not have, I still prefer the Kawai for subtlety in expression along with smooth key movement. I also like the Roland RP401R even better, but that one sells for $1599US. Hi, Tim, thank you a lot for the review! I have a question about comparing KDP 90 to a portable one, like Kawai ES 100. Do they provide the same key touching reaction and sound quality? My goal is to find a digital piano for my piano practice. So i care a lot about the key reaction, and hope it to be like acoustic ones as much as possible. I am a college student, so also want it to be easier to move if I change apartments. Would you give me some suggestions? Thank you! please answer :). I am looking to buy a piano for Christmas this year. I have narrowed down my choices to either the KDO90 or the Roland F130R. Is their any feature that would put one on top of the other or is it simply a matter of preference? P.S. I am assuming that F130R and the RP401R are indeed the same piano in a different body. THANK YOU so much for putting this blog together. It has made the difference of night and day when searching for a digital piano. Would you recommend the Kawaii KDP90 over either the Roland F130 or F140 or vice versa? hi Tim, how's the build quality of this piano? I'm thinking of buying a used one, but warranty is only applicable to the original buyer. Should I risk it? Hi Tim,i wanted to buy KAWAI cn 23 PIANO for my 11 year old daughter.one lady is selling for $1000 dollars.is it a good piano for professionals?my daughter had learnt piano for 3 years.is it a good piano for all levels or as we go higher we need to change?I want to do one time investment.please let me know.WE have a key board now.her teacher is forcing us to buy 88keys piano. your answers will be really appriciated.Thanks alot in advance. hello, I've had my eye on the Kawai CE220 for a few years now according to the reviews you gave at that time. its still on my wish list. but now you have it at 4th place, so now I'm undecided on what to get lol i want a piano that feels like a grand piano and has a loud sound with awesome bass. i tend to play hard for some reason. I've been without a piano for couple years now since i moved and am looking for that special one. help! I compared in store Kawai KDP90 and CE220. The keyboard in CE220 is more like in real piano. But internal sound in KDP90 is way richer. KDP90 is outstanding digital piano with limited features. I found luck of features a plus when learnng to play, there less distructions and more focus on actual performane. Excellent product!